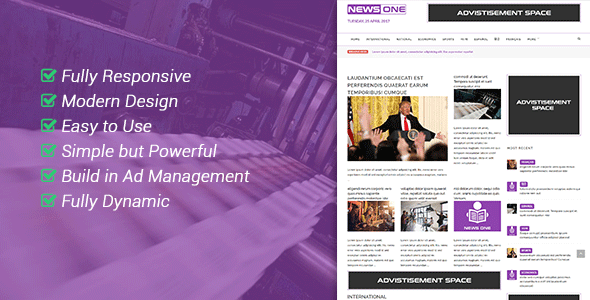 NewsOne is next generation software creates great looking Newspaper & Magazine websites and is so easy to use, even you could publish one. If you’ve ever wanted to publish your own online newspaper or magazine website but didn’t know how, then NewsOne is for you. 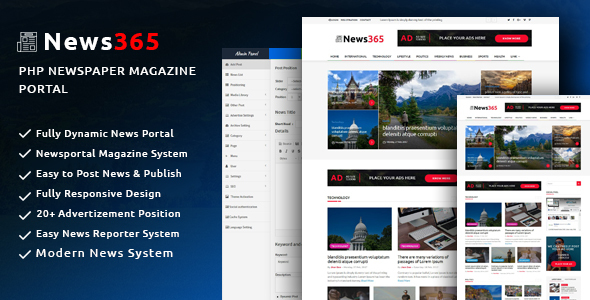 News365 – is a most popular newspaper script and most powerful php application which is designed and developed by Codeigniter. It is one of the unique idea on news world. Every News agency and News portal owner can use this application. User do not need to know single line of coding. All in one all News and magazine features are included inside of this application.